Here’s a fascinating and rare version of “Heart Sutra” (心經), featuring Faye Wong (王菲) and Chilam Cheung (张智霖, Zhang Zhi Lin, Julian Cheung), added to YouTube by QSelenan on 4 Aug 2008. This version was incorrectly identified as a duet with Nic Tse (谢霆锋, Xie Tingfeng), Faye’s ex, in the Aug 4 publication of this post. After a correction by Marc Chen (see comments), the post was revised and republished under its current title on Aug 6. The song is in Cantonese, and I like the understated way they’ve approached the recording. The video is really audio with a static photo so I ripped the song and haven’t included the video. (But if you want to view it, click here.) I downloaded (from Cookie’s Buddhist Site) and added a second version of the same song on 8.6.08. The quality is better. 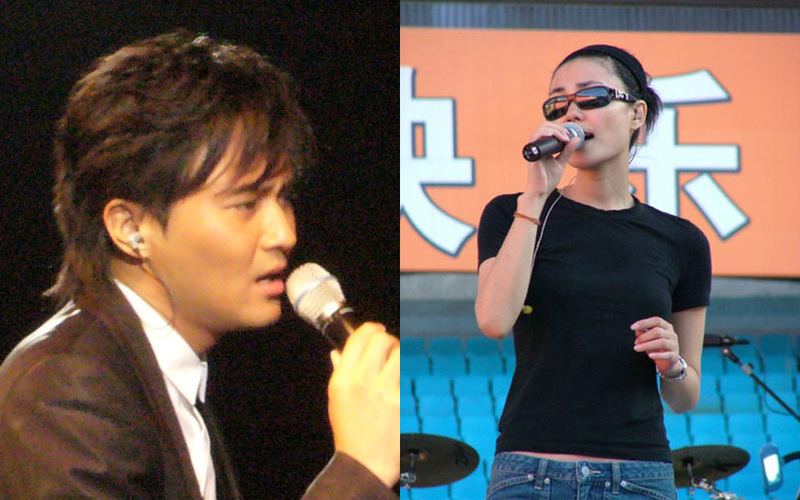 “Heart Sutra,” a duet with Faye Wong and Chilam Cheung. Added 8.6.08: Here’s a second version of the same song from Cookie’s Buddhist Site. The song is by Chi Lam and Faye Wong, not Nic Tse. Hi, Marc. Thanks for the comment. Sorry for the delay in posting your comments. Two of yours and a third from another fayenatic were in my spam folder. I’m glad I looked in there. The person who added the video to YouTube described the male in the duet as Nic and I took him/her at his word. I’ll post your feedback in the article, too. Hi. The simplest way is to install the Flash Video Downloader add-on for your browser. After installation, it appears as a blue down-pointing arrow to the left of the search box in the top menubar. Click on the mp3 or video you want to download. After it starts to play, click on the arrow and follow the directions. It’ll save a copy to your computer.